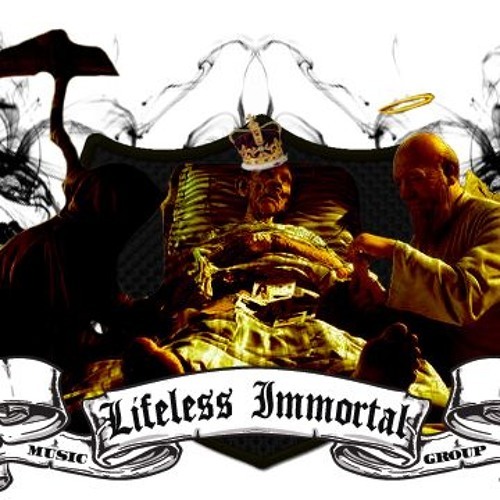 Lifeless Immortal is a Half Conscious, Half Horrorcore label; as well as the second generation of Thug Life. The are millions of Immortals and LIs all over the world from Detroit, Texas, Miami, North Carolina, Mississippi, South Carolina, Los Angeles, New Jersey, Virginia, Washington DC, UK, Jamaica, France, China and the list goes on. We serve as a powerhouse of bringing all ethnic groups together in unity through the music and entertainment that we bring forth to you raw and uncut. Founded by Army Veteran, VDotNam in 2013 while working on Hip Hop Empire Magazine & EmpireVizion. Scouted by Nam, Renizance & Immortal Soldierz were added to the LI rooster to facilitate the governance of each member that resides in the United States. Since Lifeless Immortal is the musical side of the military, we fight wars through entertainment. We transition the youth from gang lifestyle to military disciplined musicians. LIFELESS means "Livin InDis Fraud Economy Leavin Enemies Still Sleepin". The IMMORTAL is the spirituality of a LI. We all are born Lifeless until the ignorance of not knowing self dies making us one's spirit immortal. Every LI soldier is expected to follow the CODE of LI. Everyday LDRSHIP is should shown and applied to life. Every mission should be complete, there's no mission that is unfinished if you are Immortal. Thanks for listening to us, please follow us today and we will keep releasing great music.